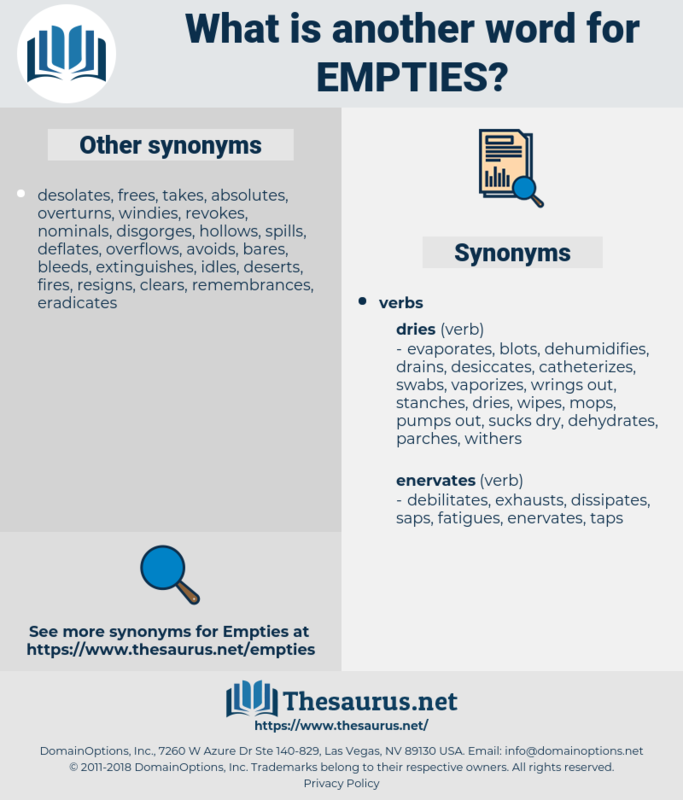 What is another word for Empties? 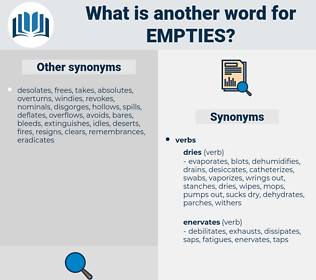 removes, cleans, deletes, disposes, suppresses, fills, dequeues, clears, ends, meets, negates, cancels, erases, flows, renders, abolishes, undoes. eliminates, eradicates, blanks, deprives, spills, pounces, drains, unloads, flushes. That river comes from the lake and empties itselfe in the river of Sagnes, called Tadousack, which is a hundred leagues in the great river of Canada, as where we weare in the Bay of the north. It spirals down through this earth and empties into Lake Schicklegruber eighty miles from here.